St. Patrick’s Day began as a religious celebration in Ireland. Saint Patrick, the patron saint of Ireland, died on March 17, and this date is used to commemorate both his existence and the arrival of Christianity in the country. Today, though these religious roots are still present on the Emerald Isle, the holiday’s main meaning has turned to celebrating Irish pride around the world. March 17 is a public holiday in the Republic of Ireland and Northern Ireland, but the festivities are also a huge deal in some other places around the globe, especially in countries that received a lot of Irish emigrants in the past, such as England, the United States, Australia, New Zealand, and Argentina. 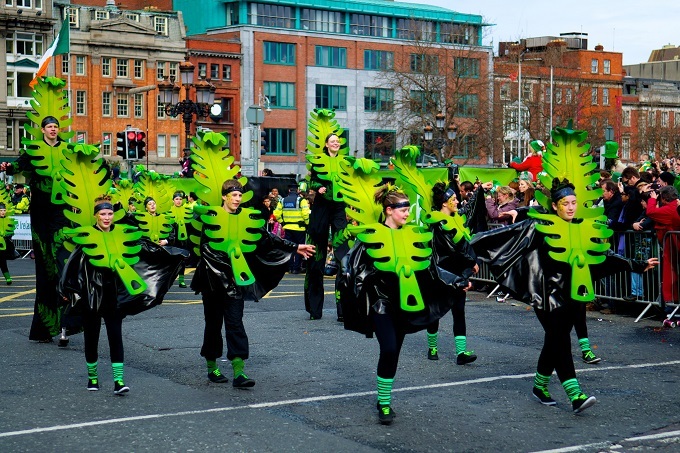 Typical celebrations include public parades, thematic parties, and wearing green or shamrock-printed attire. Green beer and good food are always present as well! To help those who want to experience a fun and typical St. Patrick’s Day, we’ve listed five cities that host great parades and festivals. Check it out! You can’t find a more traditional place to celebrate than in Ireland itself. The festivities happen throughout the entire country, but the largest events are concentrated in Dublin. The city’s St. Patrick’s Day festivities usually last for four days and celebrate Irish culture with a lot of fun, beer, and crowded streets. The most awaited event is the parade that happens at noon on March 17, but there are tons of other things to do during the holiday, including pub gigs, cool street performances, and lectures that discuss various topics such as music, film, sports, politics, and the Gaelic language. New York City hosts the largest St. Patrick’s Day parade on the entire globe. Each year, more than 150,000 marchers and two million spectators gather between 44th Street and Fifth Avenue to celebrate Irish pride. The parade lasts for six hours and still maintains its roots, which means no cars, floats, or balloons are allowed. If the parade itself doesn’t seem very entertaining to you, it’s always possible to join a pub crawl or just spend your day at one of the many typical Irish pubs in the Big Apple. 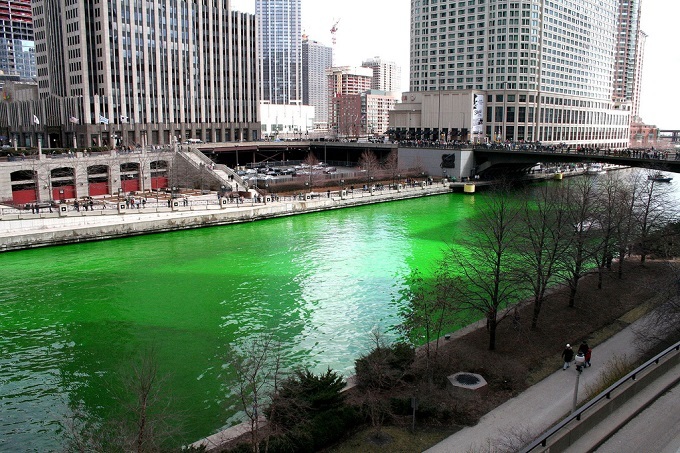 Seeing the Chicago River dyed in a perfect kelly green is just one big reason to spend the holiday in this city. The green spectacle is followed by a jubilant parade full of bagpipers, horses, marching bands, and Irish dance troupes that later becomes a sprawling street party. Check out this timelapse video showing the river being dyed green last year. Amazing! 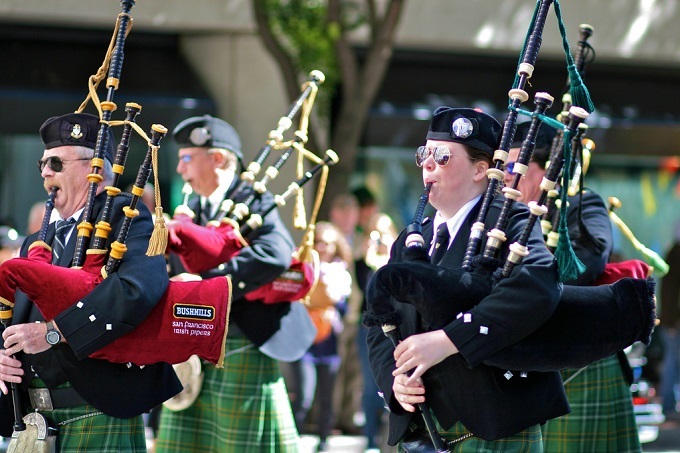 The San Francisco St. Patrick’s Day Parade may not be as big as the three mentioned above, but it’s one of the most popular public events in the city, attracting more than 100,000 revelers each year. 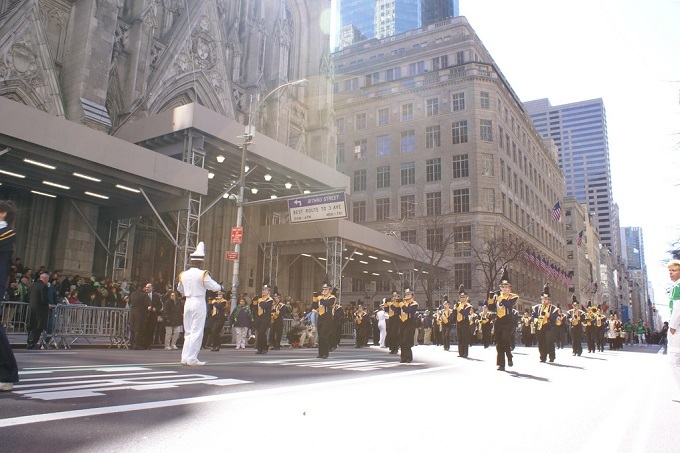 The parade will spread the Irish cheer with the traditional sound of bagpipes, drum rolls, and Irish dance schools showcasing their abilities. Additionally, a festival held at the Civic Center will include live music, great food, a world-class beer garden, and more. New Zealand’s largest city also uses St. Patrick’s Day as a way to show the pride of the city’s large Irish heritage. 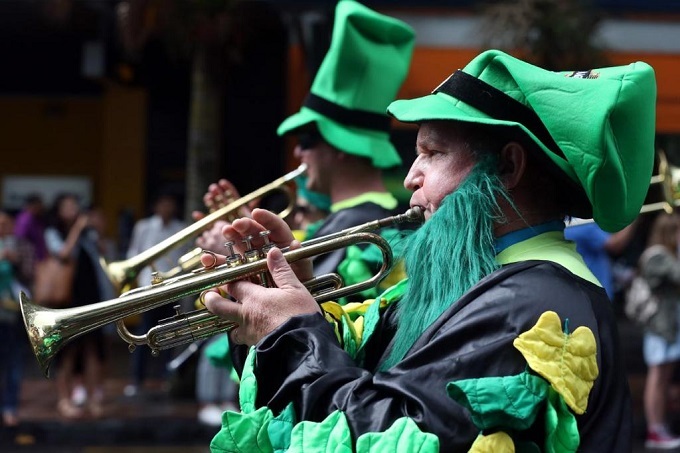 Each year, Auckland hosts a public parade that is followed by The Fleadh, a traditional Irish music and dance show featuring local bands and Irish dance groups. It’s an important day to the city and offers visitors a good chance to catch some of the holiday’s festivities on the other side of the world.